It’s time for “The Professional Sez….”! 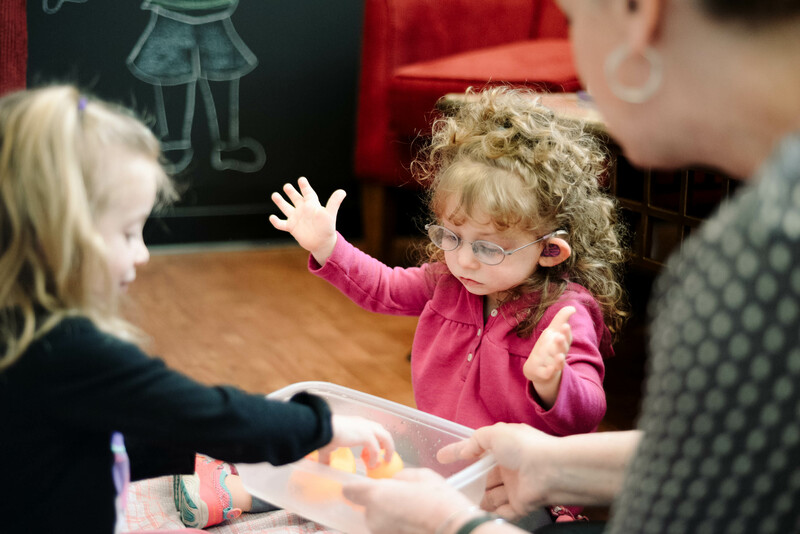 This occasional post is designed to help parents, caregivers, other educators and relatives understand how to help a child with hearing loss/language delays. Today’s post comes from Holly Frigerio, MA in Early Intervention and Deaf Education, and SJI’s Toddler and Preschool Room Educator. If they try to use words and it comes out garbled, praise their effort with “Good try! Can you say it like this?” Encourage them to try again, modeling the speech. Listen carefully for what sounds they are missing so you know this is an emerging skill. Now you can give the child the ball! Knowing where your child’s communication and language is will help determine how much or how little language you expect them to use in these situations. Enjoy the essential role you are playing in their language development!